"How to Build an Extraordinary Team!" One of the cornerstones to a great practice is a great staff. An extraordinary staff can transform your practice. 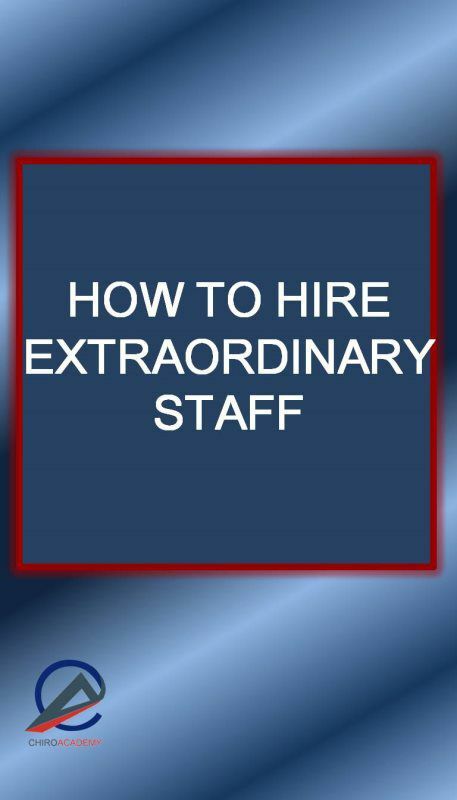 Learn the secrets to finding and training extraordinary staff. This may be the most important Audio-Course you will ever take! If you are like most doctors, one of the your greatest frustrations is a poor performing staff. Why settle for a mediocre staff when they could be great. 1. 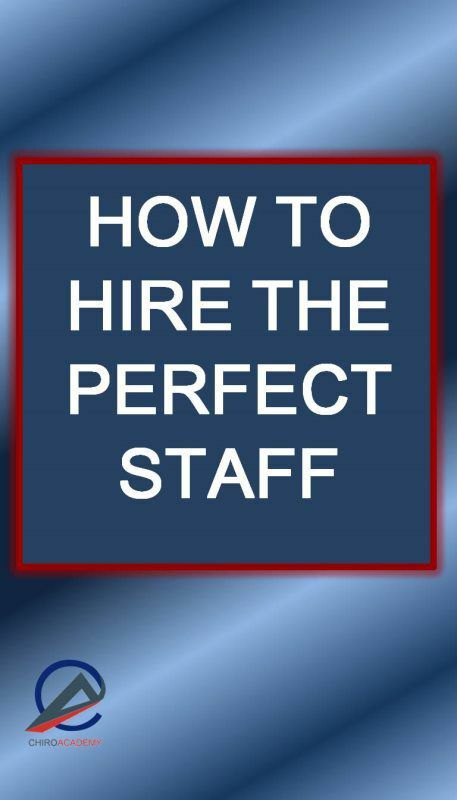 A great staff begins with hiring the right person. You can't make the wrong person fit, square pegs just don't fit into round holes. At least not without a hammer and some degree of destruction. So let me teach you how to find the right person every time. Even if you are not currently looking for new staff now, you will want this information for the future. 2. Staff training is essential for building a great team. You hire quality people but you train them to be great. I have ruined great people with poor training and I want you to learn from my mistakes. I will be covering exacly how I have trained the best staff on the planet. Many of my staff have gone on to teach and train other CA's in programs for the chiroAcademy and CLA. 3. Build trust, performance and productivity with a monthly staff assessments. 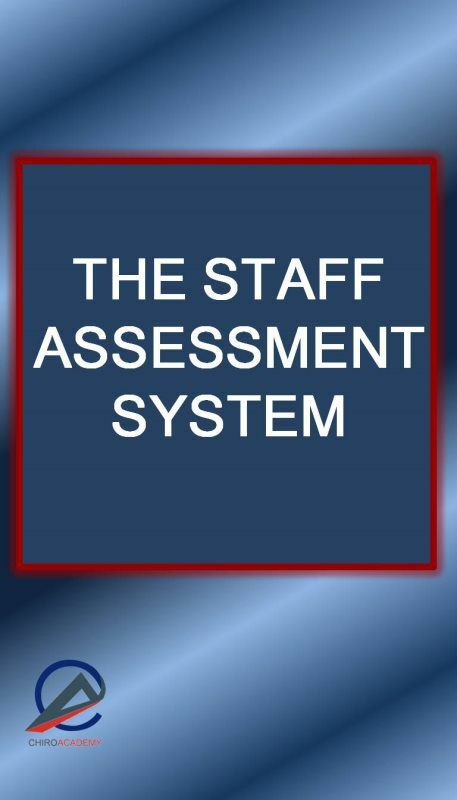 I will teach you the 12 easy to use staff assessments for cultivating a high performance team that is aligned with your purpose. If you are like most doctors, one of the your greatest frustrations is a poor performing staff. 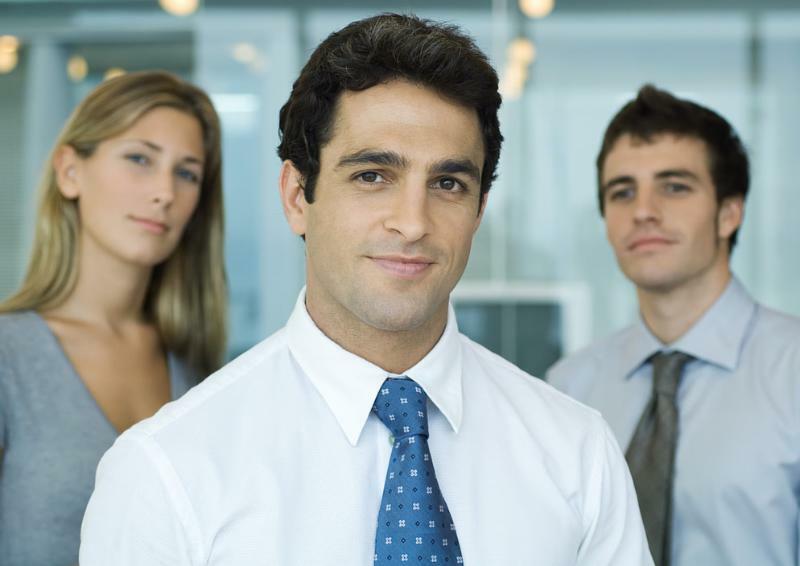 Why settle for a mediocre staff when they could be great. I have found in coaching and training hundreds of doctors from around the world that one of the biggest challenges to success is a staff that is not properly trained and/or not functioning as a cohesive unit. Most chiropractors don't have the time, energy or expertise to properly train their staff. 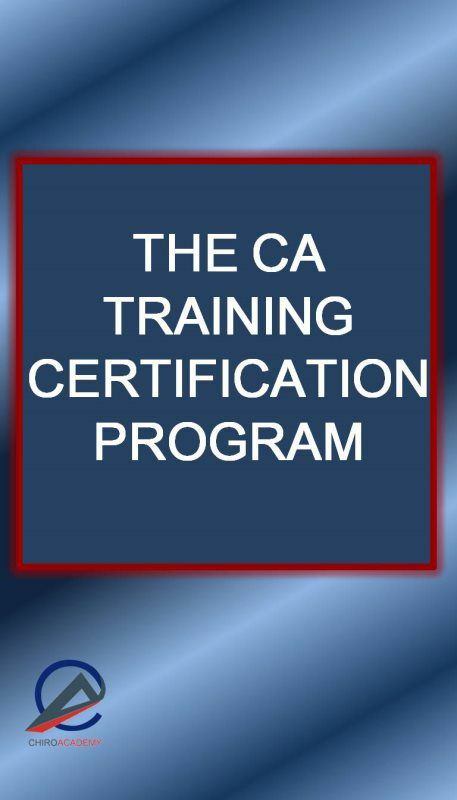 Let The chiroAcademy CA Certification program train your staff for you. "Thank you for implementing the CA Certification. Since my CA began your training program, her passion for Wellness Chiropractic has gone through the roof and listening to some of the modules I can understand why. I fact, she's so full of ideas for growing the practice I can barely keep up! It's definitely worth it to have a CA who really gets "The Bid Idea." Thanks again!" 7. Patient education: "Fluff versus Stuff"
11. Creating an inspired practice that is "fun"
12. Being the chiropractic "star"
"My name is Diana, I am Dr. Varney's front desk CA, I just wanted to take the time and thank you. The September training was absolutely exciting, it really lifted my spirits and gave me a totally different out look. I love learning! I took lots of notes and have used the techniques you offered. It works! Keep it coming, I'm looking forward to next month's training. Thanks again, Diana." 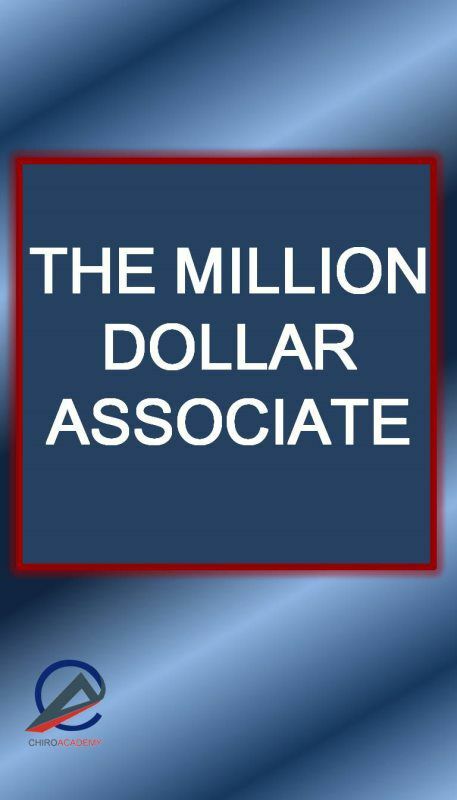 Marketing for the Million Dollar Associate reveals the secrets to building a million dollar practice with an associate doctor. 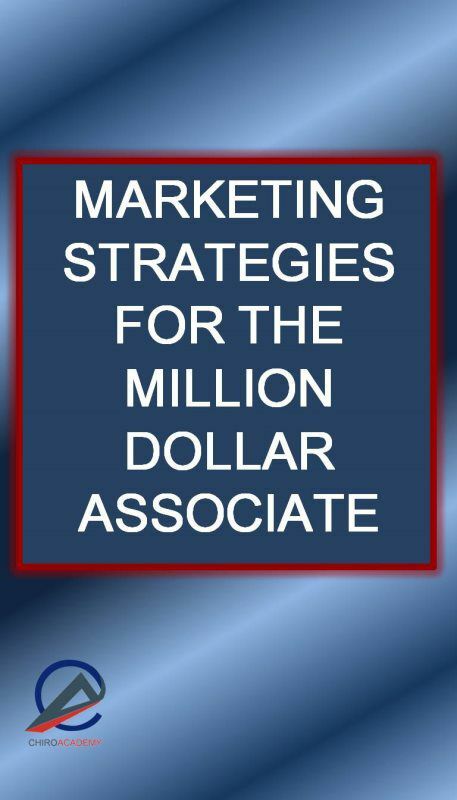 The Marketing Strategies for the Million Dollar Associate: is an entirely new program. It is not the same program as "The 7 Figure Associate"
This 90 minute training teaches both internal and external strategies for the associate doctor. -Dr. Gandolfi teaches 7 Internal and 11 External strategies for your associate to attract 10-20 new patients per week. -Learn how Dr. Gandolfi's associate doctor attracted 120-130 new patients per month for 6 months straight. -If your associate is willing to do the legwork, they can attract at least 10 new patients every week. If you have an Associate or Independent Contractor, you need this training! If you are thinking about hiring an Associate or Independent Contractor, you need this training! If your Associate or Independent Contractor is under performing, you need this training! If you are thinking about an exit strategy or wanting to sell your practice, you need this training! Regardless of your volume, the right associate can help you leverage your purpose and achieve your business goals. The right associate be very very profitable and bring you security and freedom. - Do I hire an Associate or an Independent Contractor? nearly every practice can do this. 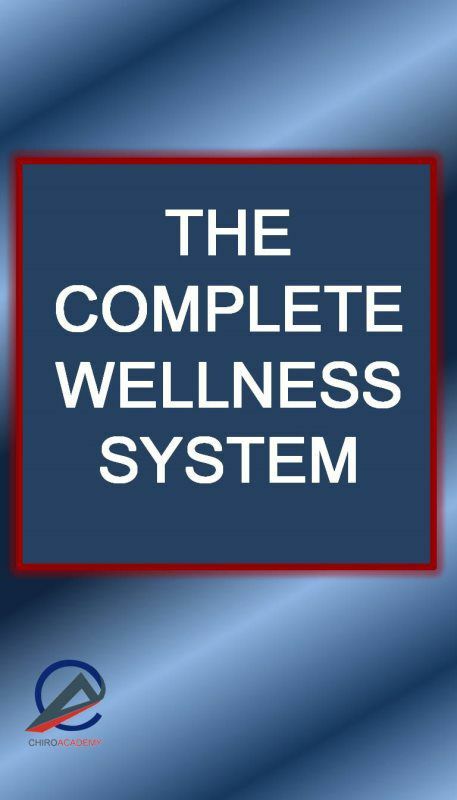 The complete Wellness Practice System is created exclusively for the Subluxation Based chiropractor wanting to create a congruent Wellness Practice. The Wellness Practice System is the most comprehensive system ever created to train the Wellness Chiropractor in all aspects of practice development. This comprehensive program includes: 15 separate training modules recorded on 34 audios, 2 PowerPoints, Patient Education Handouts and a Wellness Screening Manual. The System includes procedural training on First Visit and Report of Findings for the Wellness Chiropractic Practice. Patient Education systems to shift the consciousness of the patient to a lifetime wellness model. Wellness marketing programs both Internal and external to attract individuals who are looking to improve their overall health and well-being in a wellness model. The Science, Philosophy and Communication for a Wellness Chiropractic practice.